You never got Grandma’s recipe book. You didn’t get Grandpa’s favorite pocketknife, either, and that little knick-knack you loved – a china reminder of childhood – went to a cousin who cherished it, too. But that’s okay. While you never inherited tangible things from your grandparents – no favored bowl or lucky coin – they left you better legacies: strength, knowledge, and a sense of who you are. For fifty years, Selma Needham kept a farm for her great-grandson, Rayne. She knew he would care for it, just as his great-grandad had. But in the new novel “If Sons, Then Heirs” by Lorene Cary, the passing-down may never come to pass. Jewell Thompson was sorry for a lot of things in her life. Most of all, she was sorry that, all those years ago, she’d put her 7-year-old son on a train by himself and sent him to North Carolina for her folks to raise. Jewell was a bad mother then. She wished she could make it up to her boy, now a man. Alonzo Freeman Rayne never had a bad childhood, though he always wondered why his mother sent him to the farm. When he looked back, though, he had a pretty good bringing-up. Grandpa Bobo gave him discipline. Uncle Jones gave him understanding and guidance. And his great-grandma Selma gave him the love he never got from his mother. No, Rayne couldn’t complain about how he was raised. The responsibility he learned, and the work ethic he got, led him to college in Philadelphia and owning his own business. It led him to a good woman, Lillie, and her son, Khalil. Oh, how Rayne loved that boy. And since the feeling was mutual and Rayne was heading south to visit Nana Selma anyhow, he asked Lillie if Khalil could go along. It might do the child good to spend time with the old woman who raised Rayne. But things in North Carolina weren’t as Rayne remembered. There was much work to be done, and Selma’s health wasn’t what it was. Though it was his great-granddaddy’s beloved land, Rayne hoped to sell it so that Selma could live comfortably somewhere else, somewhere safe. 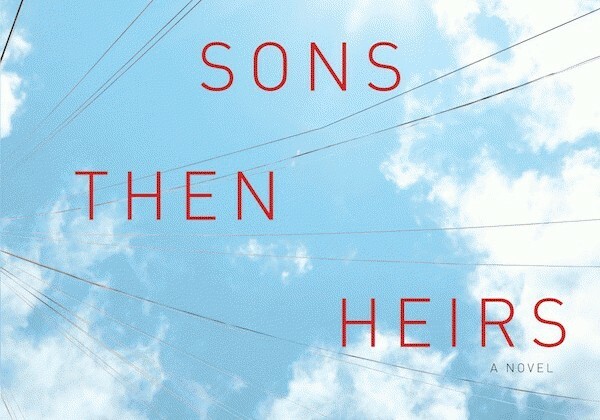 “If Sons, Then Heirs” is like a lingering, warm summer day just before a storm arrives: you’ll want to savor every minute of it, even though you know it won’t last long and it won’t always be pleasant. Author Lorene Cary weaves a story of several generations of family held together by love and a determination to remember where they came from, and she does it by moving easily from era to era, bygone times to the present and back. That allows you to completely immerse yourself into this engrossing novel, its characters, and their lives. This is not a book to read casually. You’ll want to pay attention to the details, because they are what makes “If Sons, Then Heirs” a recipe for a great summer read.